Jewels for Success: Which are the Most Powerful Astrological Gems in the World? Astrology has been in practice for thousands of years, dating back to the earliest civilizations in Asia and America, but certainly not just limited to those two continents. Even though it is only considered to be a pseudoscience today, the popularity of western and Vedic astrology has not declined at all. In fact, the wider availability of the jewels which are supposed to possess certain powers for certain people has actually made them more accessible to the masses than they were at one time. While the authenticity and the actual effectiveness of astrological stones are still under debate, it is to be understood that an actual astrologer will never claim that a stone will work for everybody, or even if it does, they can never claim that it will have the same impact on everybody. In fact, astrologers go through a complex combination of birthdays, birth years, the position of the celestial bodies during the birth of the person, and various other factors before determining what would be the right gem for the individual. In that sense, what is powerful and positive for one person, might very well be ineffective or may even produce negative results for the other. This is the reason why a good astrologer will tell you that an extremely powerful gem like the blue sapphire can even be dangerous for you if you do not have a birth chart that suits wearing of such a stone. In that respect, even powerful astrological stones that we are going to discuss next may not be right for you, unless you do the adequate research yourself or seek the help of a professional astrologer. Penelope Cruz wears a wedding ring from Javier Bardem that consists of a deep blue sapphire which weighs three carats and is surrounded by smaller diamonds to make it look like a flower; a flower that roughly costs $30,000 or more! From an astrological point of view, the combination of the blue sapphire (stone of Saturn) and the diamonds (stone of Venus) are not contradictory, but the ring finger is not an ideal location for the stones. The index finger or preferably the middle finger is where a blue sapphire should be worn, according to the advice of astrologers. As the blue sapphire, also known in the subcontinent as Neelam, is the most powerful of all Vedic astrological stones in existence, it is imperative that the gemstone is actually deemed to be suitable for the wearer before putting it on. If you want to buy and wear this magnificent blue gem, consult the experts at Gem Stone Universe first, before spending any money on it. They even have a dedicated page on the powerful nilamstone to educate people about the scientific origin of the stone, its price, the difference in quality, mining locations, astrological benefits, and everything else that one would ever need to know. 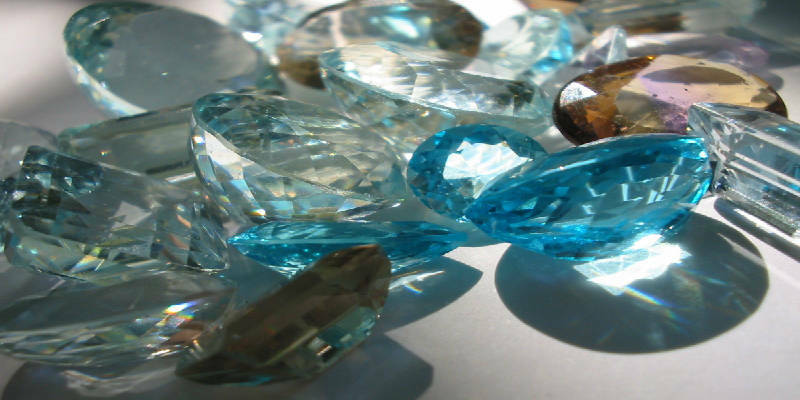 They are one of the very few IACC and GIA certified online sellers of gemstones in the world, so the information and the stones from Gem Stone Universe can be trusted for authenticity. A brilliant red ruby in a decent size will cost a good deal of money, as they are quite rare. Astrologically, they are linked to the sun and are said to be appropriate for the paternal heads of the family since the sun signifies life force and has been worshipped around the world as a father figure for millions of years. Fame, prominence, respect, intelligence, and power are some of the benefits that astrology associates with a ruby. Mercury in astrology is associated with wisdom, clarity of understanding, communication skills, articulation, humor, wealth, and travel to name a few. As the planet’s representative on earth, astrologers advise wearing of emeralds on the pinkie finger to facilitate business growth and success. Emerald is also a stone that is believed by astrologers around the world to attract wealth, as long as the birth chart supports the wearing of the stone for the individual in question. Given that a high-quality Colombian emerald can set you back by thousands, it is advisable that you consult an astrologer to determine its suitability before buying one for its benefits. It is hard to make any list of jewels that doesn’t have a diamond in it, and even a list of astrological gems is not exempt from that rule apparently! The diamond is what represents the planet Venus on earth and, therefore, if you are a Libra, in particular, it’s the right gemstone for you on most occasions. The benefits to be had here are nothing short of astounding if you believe in astrology and it suits your chart, because they include everything from boosted attraction to the opposite gender and development of the finer senses to unlocking of the riches and creative potential in an individual. The only problem is that true, high-quality diamonds cost a fortune, to begin with! A natural and rare gemstone that is authentic and of good quality is never going to be cheap, nor will it be as flawless as an artificial piece of glass! This is true for all gems in general and not just astrological stones. Admittedly, there are a few stones in the world that are natural and yet perfect, but unless you are billionaire collector, you will only see them in photos. Unfortunately, there are multiple scam sites on the internet and offline shops that promise to sell glorious stones and crystals with magical effects, yet they promise to do so at a fraction of the price of what they should be selling for. If you do believe in astrology or just want to give it a try, trust international names like Gem Stone Universe when it comes to buying astrological stones online because while it won’t be cheap, at least you will have a real gem on your hands. Whether it works or not, you will still possess a high-value gemstone in your collection.